Saturday at Quilt I got caught in the book signing trap. It eats away a lot of your time. First you have to find the booths with the authors who are giving away the books, then you have to arrive in the booth about 30 minutes before the scheduled signing to get your "ticket" for the free book, then you have to wait around for the scheduled time to roll around. And finally, you get the book signed. It's fun to visit with the author and take your picture with them. Sorta like rubbing elbows with a famous celebrity! But I got 7 amazing books, signed by the author. How cool is that! A few I will keep for myself, the others I will give away here on the blog. Sunday is more of the same but I'll take pictures of some amazing quilts and quilting on the show floor. Oh and I almost forgot, the quilts in the International Quilt Show. Whoo hoo! It sounds like so much fun. Enjoy and I can't wait to hear more about it. 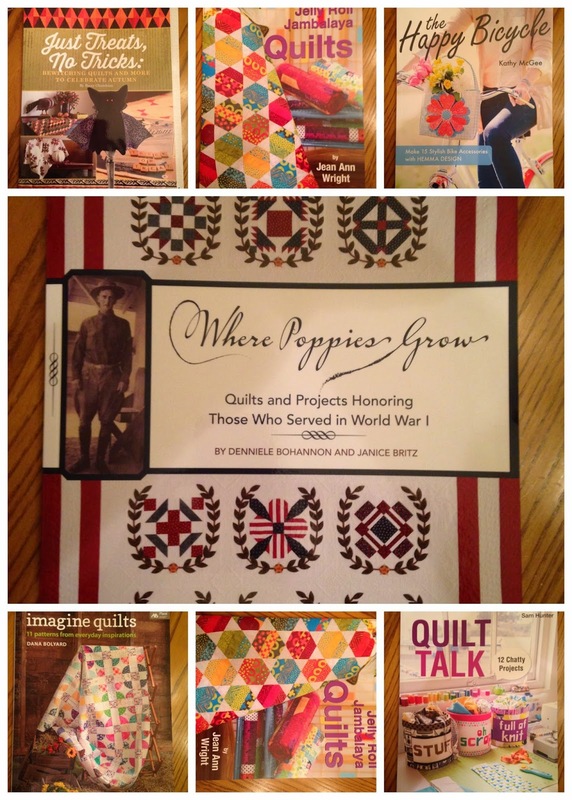 Looking forward to seeing more of the books you got and the pictures from the quilt show! Keep having fun!! !